This mixed-use building south of the river with lettable space for smaller companies emulates its counterparts on the north bank. It consists primarily of an elongated block eight storeys high on the side to Zuidplein. Behind it, one large and two smaller towers are linked to the main block by aerial walkways. 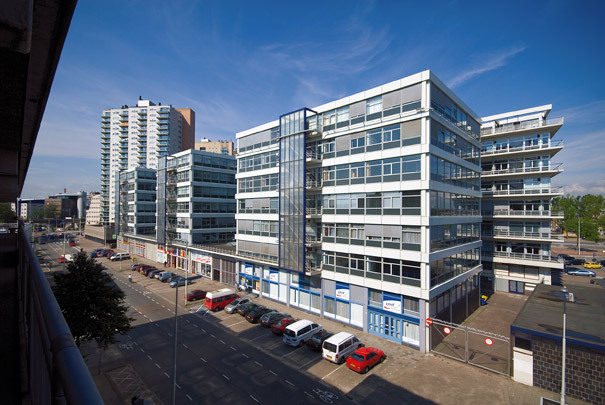 The ground floor has taller retail and commercial premises and a service road running between the main block and the towers. A rectangular shared cafeteria juts from the taut facade of the main block like a large window.